Our Prosper project has gone through many permutations since we started back in October. But our thoughts on a living tourist information station have now coalesced into the idea of an installation containing information that links community and commercial, history and stories, themed around a specific event. It’s probably easier to see it in practice than explain it in writing, so why not come along to our Canterbury Valentine’s Trail on 9 February? 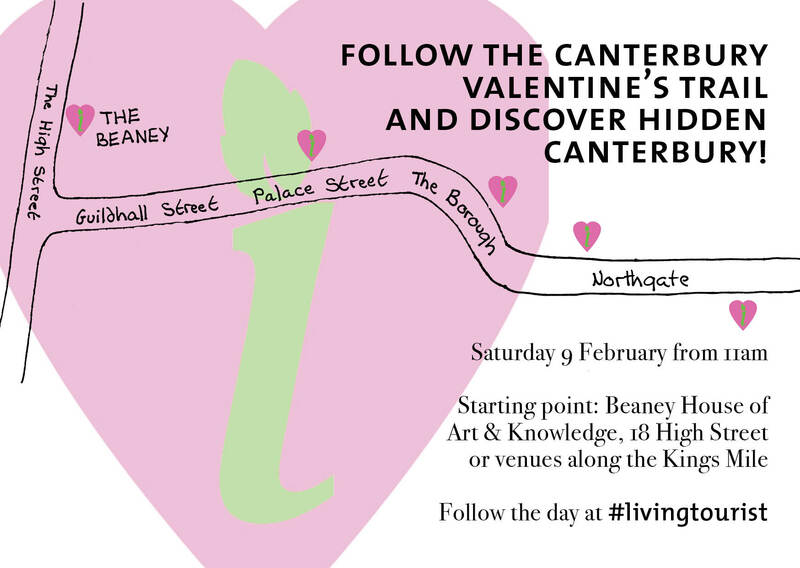 For those of you unable to attend, it will consist of a series of life-sized wooden figures outside businesses with a link to Valentine’s Day, each of which gives information about both a current community project and the history of the part of Canterbury it’s located in. Each board directs you to the next one to form a trail, with the journey beginning and ending at the Beaney where you receive a small prize for solving a riddle. Enjoy! You can find more information by clicking here, or on the Prosper website.